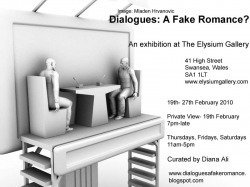 Dialogues: A Fake Romance?’; an exhibition of contemporary art work exploring the dichotomies of dialogue through painting, drawing, installation, film and photography. Dialogues can turn some times into an emotional argument during which our role can change from being exposed to exposing each other feelings and thoughts. 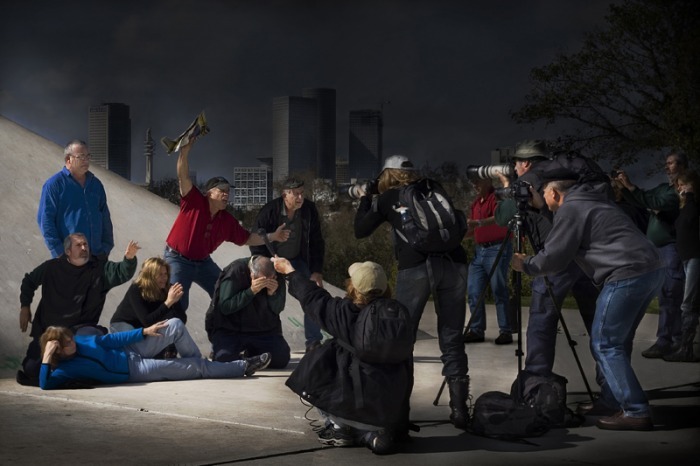 In this work I use as a metaphor the painting "The Third of May 1808" by Francisco Goya, to portray this phenomenon.